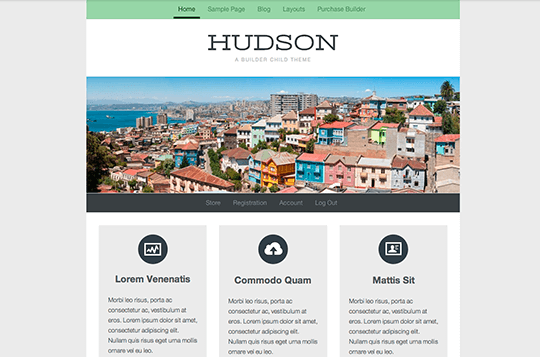 Hudson is the perfect Builder theme for your business or personal site. Hudson features crisp, clean lines and typography, all built upon the fantastic Builder framework. Hudson also includes styles for iThemes Exchange, a simple and easy ecommerce solution.